Dr. Melissa is dedicated to your total oral health! Dr. Cody looks forward to welcoming you to our practice! Our office is designed to be warm and inviting for your comfort. Take a look at the smile transformations we’ve created! Have a question about insurance or your dental care? Joy and Valerie are here to help. Fill out our handy online contact form to get the answers you need! A Warm Welcome to Dental Health Partners! We’re so pleased you stopped by to learn more about our exceptional, patient-focused dental care. Dr. Cody Gronsten, Dr. Melissa Maier, and the entire professional team are pleased to serve patients of all ages in Mitchell, Mount Vernon, Parkston, Ethan, Plankinton, Alexandria, and the surrounding areas. We believe the foundation for excellence begins with our attention to detail, respect for your needs, and genuine concern for your well-being. Longstanding patients of this practice know they can count on our friendly professional team to provide them with the most comfortable and pleasant experience possible. Our goal is to treat you with the same level of personal attention and professional care that we would provide for our own families. Have you ever had a dental experience where you felt rushed and, worse yet, unheard? 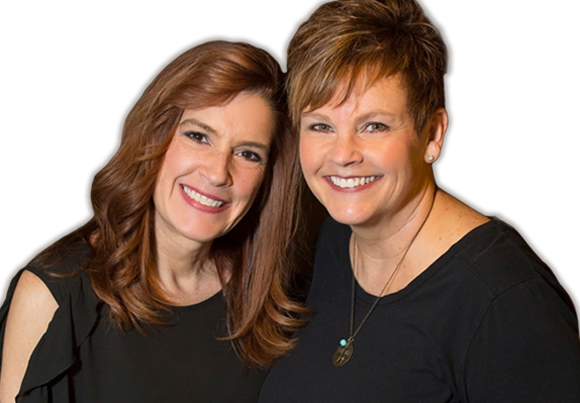 We can promise you that at Dental Health Partners, we always take our time with you because listening and learning about you is the best way to provide care that’s carefully personalized to fit your dental needs. We strive to make every detail of your visit perfect. 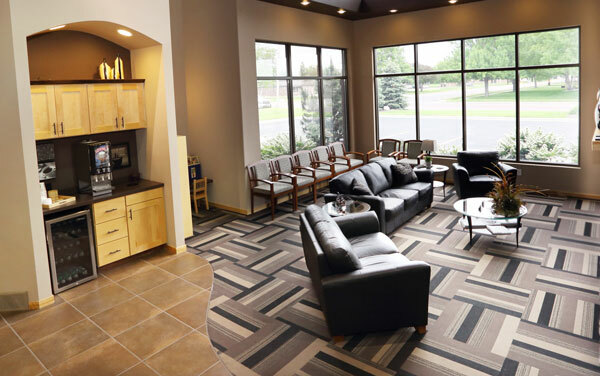 Our reception area is warm, inviting, and designed to put you at ease and make you feel right at home. We focus on providing you with all the little touches that make your visits with us special. We'll offer you a complimentary beverage when you arrive and spoil you with our ergonomic chairs as well as blankets and pillows in our treatment rooms. Our team will go out of the way to make sure that you feel safe and secure during treatment. In every way possible, we’ve created an environment that’s designed with your comfort in mind. There's no reason that high-quality dental care needs to be delivered in a serious or stuffy environment. Our team knows just what it takes to keep you calm and relaxed, so you can forget about stressful dental visits! We’ve been treating many of the same patients for decades, and we think that says a lot about the type of attentive care our team provides! We care about our patients so much that all DHP patients are given their doctor's card – which has their personal cell phone number! We encourage our patients to call the doctors on nights and/or weekends if any emergencies occur. Just as our name states, this is our dedication to being your partner in dental health. You and your family are busy, which might make it challenging to find time in your schedule for dental appointments. But dental care is vital to your family’s overall well-being, so we’ll work with you to arrange visits that are convenient for you. If you have an emergency, we’ll do everything possible to get you in to see us quickly – often on the same day. The cost of dental treatment is a concern for everyone, and we don’t want you to have to put off dental treatment because you’re worried about finances. We’re in-network with Delta Dental Premiere and will be happy to file most other insurance claims for your convenience. Don't have insurance? Don’t worry. We offer options for financing that allow you to get the necessary care you need when you need it most. Interest-free CareCredit and Citi Health both work like credit cards and can be used to finance dental treatments as well as a number of other health-related expenses. Please ask one of our team members if you would like more information. If you’ve been disappointed in the past with dental experiences that don’t meet your expectations, we’d love to hear from you. After just a couple visits, we know that you’ll appreciate all the ways in which our practice is different! Please give us a call to schedule your next appointment!